Dora loves to go on adventures, wherever they may take her. She is known for wearing a purple backpack, which talks, and is accompanied by Boots, a monkey. She is a Latina girl, aged 7 as the original series begins. In 2009, she became a young adult, attending middle school. The film version will begin with Dora as she starts high school. Isabela Moner. She made a splash in Transformers: The Last Knight, Sicario: Day of the Soldado and Instant Family. Michael Peña (Ant-Man and The Wasp) and Eva Longoria (Overboard) will portray Dora's parents. THR notes that, before high school, Dora explored the jungle with her parents, which raises the possibility that they will team up with her on her new adventure at some point. Eugenio Derbez (Overboard) plays a mysterious yet friendly inhabitant of the jungle. Other characters will be played by Micke Moreno as Dora's cousin Diego, Nicholas Combe as a fellow high schooler who quickly develops a crush on Dora, Madeleine Madden as the school's "snooty class president," Adriana Barraza as Dora's beloved grandmother and Temuera Morrison (Moana) as a man named Powell. What's the plot of the movie? The official synopsis tells us: "Having spent most of her life exploring the jungle with her parents, nothing could prepare Dora for the most dangerous adventure ever – high school. 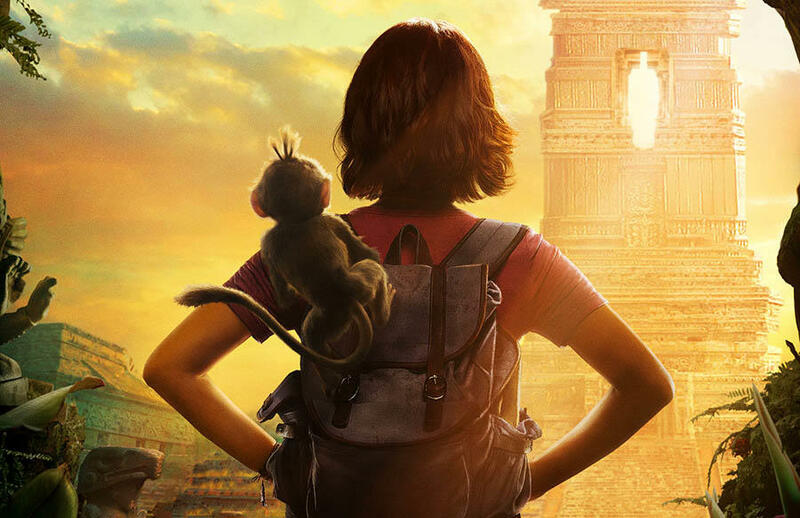 Always the explorer, Dora quickly finds herself leading Boots (her best friend, a monkey), Diego, and a rag tag group of teens on a live-action adventure to save her parents and solve the impossible mystery behind a lost Inca civilization." James Bobin. He's an experienced television helmer who made his feature debut with The Muppets, followed by Muppets Most Wanted and Alice Through the Looking Glass. Paramount will release Dora the Explorer nationwide on August 2, 2019.